The second presidential debate took place on October 10th and one thing was clear: Hillary Clinton had so many perfect quotes. The woman slayed. The debate, which took place at Washington University in St. Louis, Missouri, was moderated by CNN’s Anderson Cooper and ABC’s Martha Raddatz. The town hall style debate between the Democratic nominee Clinton and Republican Nominee Donald Trump had the nominees answering questions from real undecided voters. 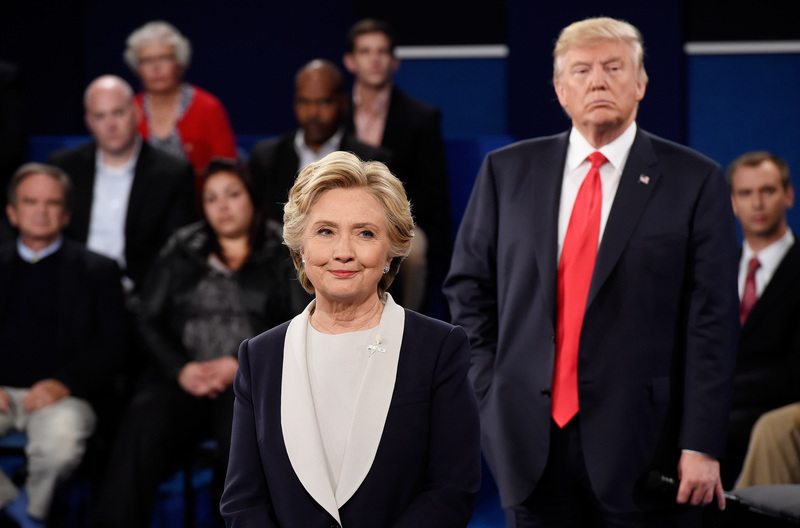 The debate was memorable for many reasons, from Donald Trump brushing off his lewd comments caught on video as “locker room talk” to continually arguing with the moderators over his frequent interruptions. The CNN/ORC poll found that 57% of people watching the debate felt Clinton won as opposed to the 34% believing Trump won. It was clear that Clinton came armed with clever attacks. She generally owned the room and the millions of people watching. "We are not at war with Islam. It plays into the hands of terrorists to act like we are." When she brushed off a series of meager threats and false statements. We’re lucky to live in a country where our voices matter. In just under a month, the presidential election will take place and determine the next four years of our country’s future. We all have a voice, let’s use it and go vote.